Title: Should the “Outs” join Banking Union? 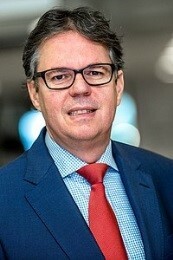 Dirk Schoenmaker is is Professor of Banking and Finance at the Rotterdam School of Management, Erasmus University Rotterdam and a Senior Fellow at Bruegel. He is also a member of the Advisory Scientific Committee of the European Systemic Risk Board at the ECB and a Research Fellow at the Centre for European Policy Research (CEPR). His research and teaching focus on the areas of central banking and financial stability, financial system architecture, European financial integration, and circular economy. He is regular speaker at academic and professional conferences. The Single Market stimulates cross-border banking throughout the European Union. This paper documents the banking linkages between the 9 ‘outs’ and 19 ‘ins’ of the Banking Union. We find that some of the major banks, based in Sweden and Denmark, have substantial banking claims across the Nordic and Baltic region. We also find large banking claims from banks based in the Banking Union to the new member states. These findings indicate that these ‘out’ countries could profit from joining Banking Union, because it would provide a stable arrangement for managing financial stability. From a political perspective, member states’ opinion on joining the Banking Union ranges from an outright no towards considering Banking Union membership.